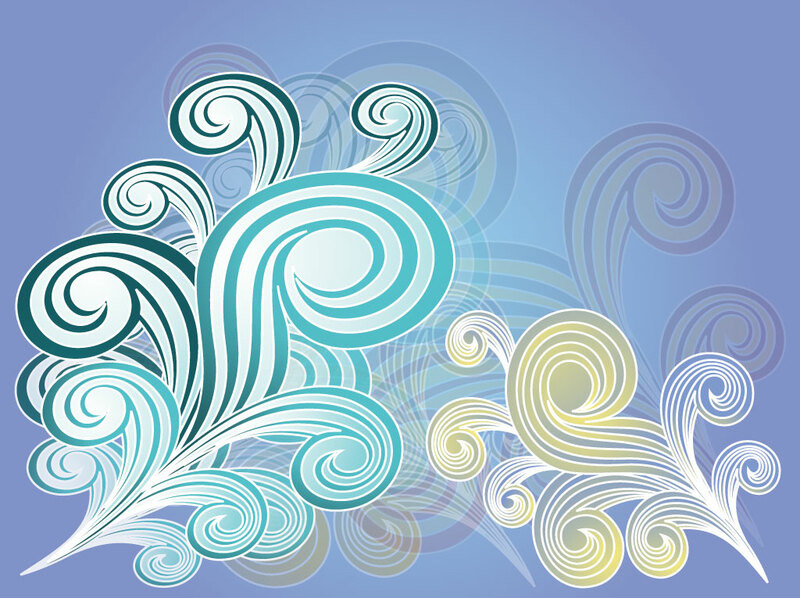 Decorative vector design footage template for your digital art and dtp projects. Purple and blue gradient vector background with spiral decorations that resemble feathers. The fun design in reflected as a ghost image for added depth and character. Colorful graphics for your springtime greeting cards, Easter holiday projects and digital print banner designs. Tags: Decoration, Design Elements, Elegant, Plants, Scrolls, Spiral, Swirls.